In the wake of the attacks on Paris Friday, Facebook activated its “Safety Check” tool along with a temporary filter to show solidarity for the country. While people praised the platform for its response to the attack, others criticized the company for taking dramatic action now despite the fact that terrorist attacks have happened recently in other countries — specifically in Beirut, Lebanon on Thursday. The crux of the argument from critics is that Facebook provides its services to some lives, but not others. It would be willing to help Europeans in distress, but not Arabs. We chose to activate Safety Check in Paris because we observed a lot of activity on Facebook as the events were unfolding. In the middle of a complex, uncertain situation affecting many people, Facebook became a place where people were sharing information and looking to understand the condition of their loved ones. We talked with our employees on the ground, who felt that there was still a need that we could fill. So we made the decision to try something we’ve never done before: activating Safety Check for something other than a natural disaster. Previously, Schultz said Safety Check was only used for disasters — such as the devastating earthquake in Nepal — because the size and scope of the event were measurable and contained. With its defined borders, he says that Paris fit within those parameters. By extension, Schultz says that places in “ongoing crisis,” where attacks are common or don’t have defined periods, aren’t going to “find use” in Safety Check’s tools. So the logic is applied: As Beirut is a place where attacks are common, and closer to sustained war, it is not a place for Facebook Safety Check. He also acknowledges that it’s a work in progress. We create products that we think will help people and we work hard to perfect the solution over time. Safety Check remains a work in progress, but one that has helped many people stay in touch with their friends and family during difficult times. We’re going to continue working to make it better and more useful. While the perspective of Facebook is ostensibly well-meaning, it also shows why Facebook’s ability to help has flaws. With more than 1.01 billion daily active users and growing, Facebook is becoming a go-to platform for people all over the world — even in places where unrest is common. 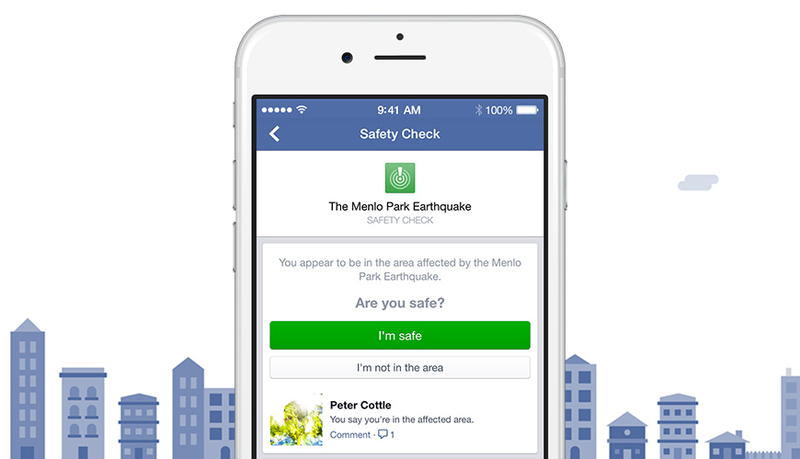 While Safety Check might not be the right tool for those users from Facebook’s perspective, that doesn’t mean that they shouldn’t have the opportunity to use the platform as a quick and simple way to know that loved ones are okay. Like creating a custom Causes filter, Facebook should consider opening a tool that helps people in sustained periods of war or strife. If the company wants those people to make its platform a part of their lives, it must be a part of their lives, too.